A few people have asked me why I bought a golf cart. The truth is, it’s something I’ve always wanted, and more importantly, it’s something that Teddy wants and needs. Her arthritis is slowing her down quite a bit these days. On our walkies, she’s good for about a 1/4 mile and then she wants to go home. There have been times when she simply sits down in the grass, and then I have to wait with her, or call a friend to come get us. It seemed like a golf cart might be just the thing. And it is. 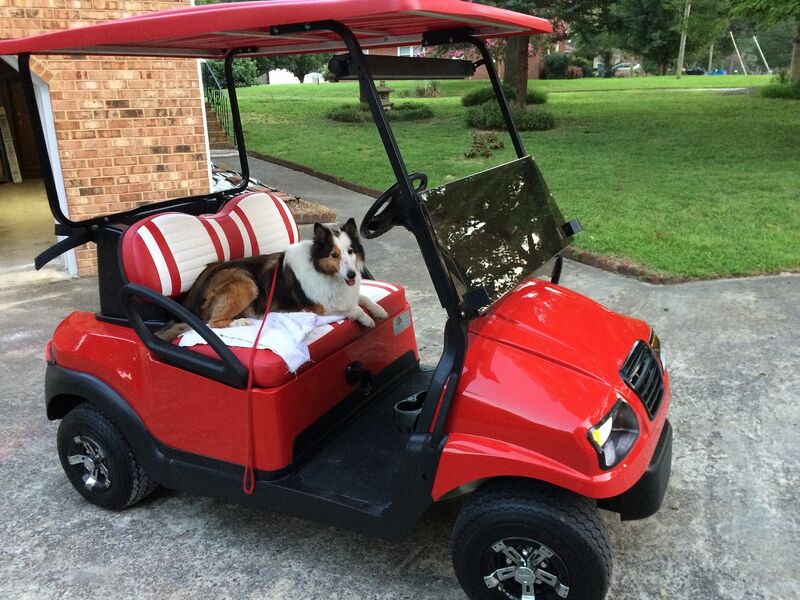 Now she rides in style around our neighborhood, snuggled up next to me with her nose in the air, taking in all the unique smells on our drive - from the 500-acre nursery to the horse farm down the road and out to the 200-acre cotton field just around the corner. We drive out to the marina at the western edge of the neighborhood and sometimes we just watch the sun set over the Nansemond River. This little red electric cart is a way for Teddy to enjoy the sights, smells and sounds of her world, even when her little legs won’t carry her as far as they once did. In the last two years, we’ve been through hell and we’re both ready for a little ease and quiet. Teddy on Tuesday evening, ready for her evening ride.